Synopsis: Ruby never asked for the abilities that almost cost her her life. Now she must call upon them on a daily basis, leading dangerous missions to bring down a corrupt government and breaking into the minds of her enemies. Other kids in the Children’s League call Ruby “Leader”, but she knows what she really is: a monster. Review: This one is definitely my favourite one in the series. I sped through this one so fast always on the edge of seat and silently freaking out at every change in plot. It was such an emotional roller coaster! Which ability would you like to have? 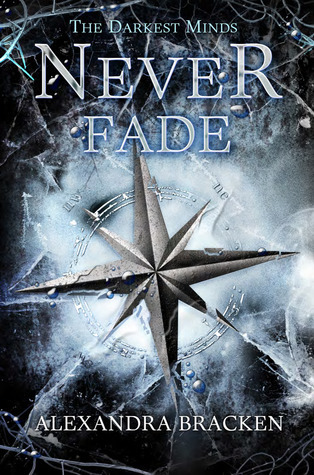 This entry was posted in Alexandra bracken, book review, never fade. Bookmark the permalink. I read the first book of this series so long ago that I'm really hesitant to read the second one. I hope that I haven't forgotten the big things! I'm glad that you liked this sequel better than the first!